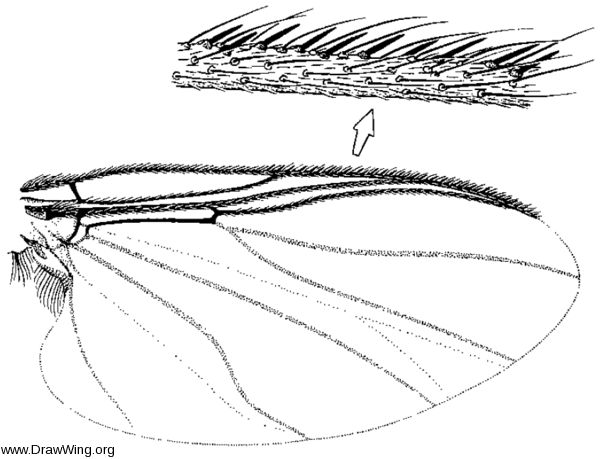 Wing of female of Greniera from Peterson (1981, fig. 30) . (1981) Simuliidae. in: McAlpine J.F. (Ed. ), Manual of Nearctic Diptera. Agriculture Canada, Ottawa, pp. 355-391.